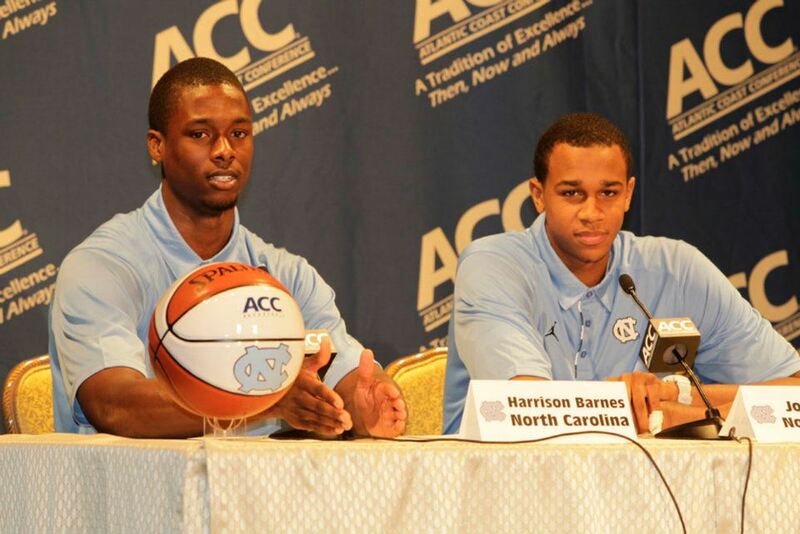 Fronted by the unanimous choice for Player of the Year and three other Wooden Award candidates, the North Carolina Heels are the media's nearly unanimous pick to win the ACC in 2011-12. On Wednesday, 57 of 59 electors went with Tar Heels, which return the vast majority of their roster from a group that went 29-8. That contingent includes swing man Harrison Barnes, whose excellence in conference play last season made talent evaluators swoon. Barnes, to the surprise of some, is still an amateur, and, joined by post players John Henson and Tyler Zeller, he gives North Carolina an acclaimed front line. Barnes, who averaged 15.7 points a game last year, was the second player to get the early nod from every voter in the past four years. Another Tar Heel, Tyler Hansbrough, was the choice in October of 2008. The Devils received the other two first-place votes and are solidly second overall. 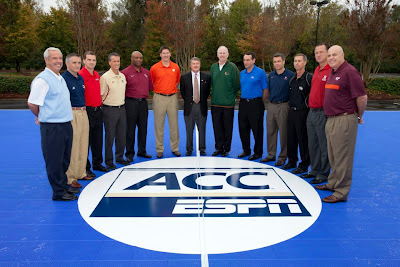 Florida State, which advanced to the NCAA tournament's Sweet 16 last year, is third. Also occupying the upper stratum is Virginia, which has its highest on-paper expectations (fourth place) since predicted third in 2001-02. *TAH's ballot was lost in the mail AGAIN.